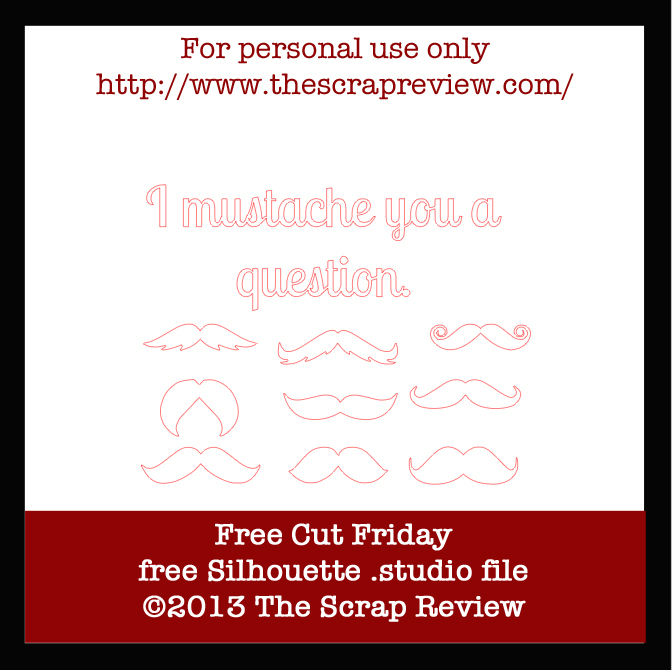 Happy Free Cut Friday! Did you miss this? I did! So here you go. Today's cut file was created by Ashley Harris (me). Hope you like it! Ashley, I finally got a Cameo (won one from Craft-e-Corner - squeal!) and am so excited to add this file to my library! It's so much fun!!! Thanks for sharing! Now I'm off to check for the other files you've posted previously! Are these mac compatible? I can download but not open. New silhouette user excited to give this a try too! SO fun! Thanks for another great cut file. This is exactly what I need!! Thanks so much.